A robust tool for managing all things certification, training, and employee specific records. Say goodbye to the clunky and unmanageable Excel sheets and say hello to AnchoRock Cert. & Training Management. View, share, and interact with jobsite employee certification and training records at the click of a few buttons and in the palm of your hands. Gone are the days of running around and searching for printed certificates or employee folders. Leverage the power of the AnchoRock web portal to manage all things employee certification and training. 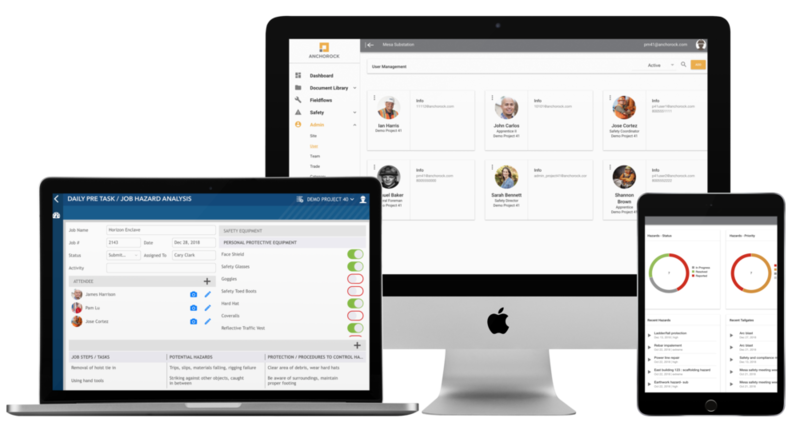 Track, view, and edit certificates, trainings, and safety meetings on a per employee basis. Records are accessible from any device and from any location.